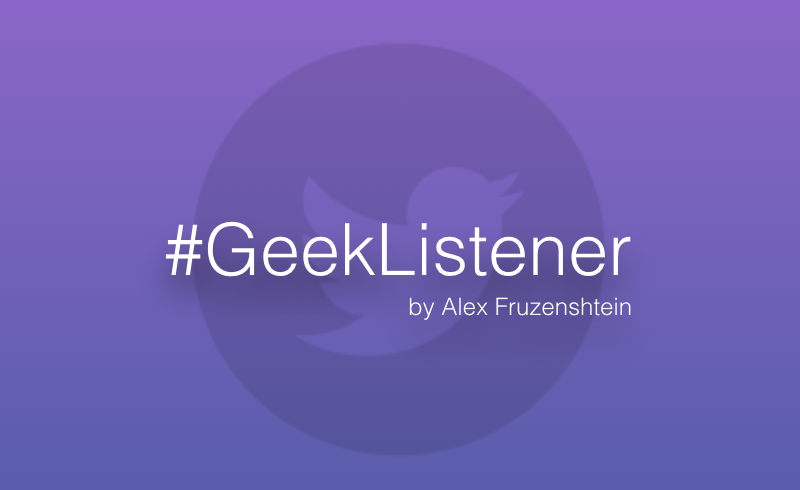 Every Wednesday I publish #GeekListener – a digest of developers tweets about Java, Scala, microservices and so on. Today isn’t exception! So be ready to spend 2-3 minutes of your time on fresh tweets and my bad humor. Ismael, I want to answer the question. A reality is very severe, and most of developers still use Java 6 and Internet Explorer 8. Do you really wait from that 17% explanation regarding Scala 2.10? Frank Greco is surprised by marketing skills of modern tech bloggers. 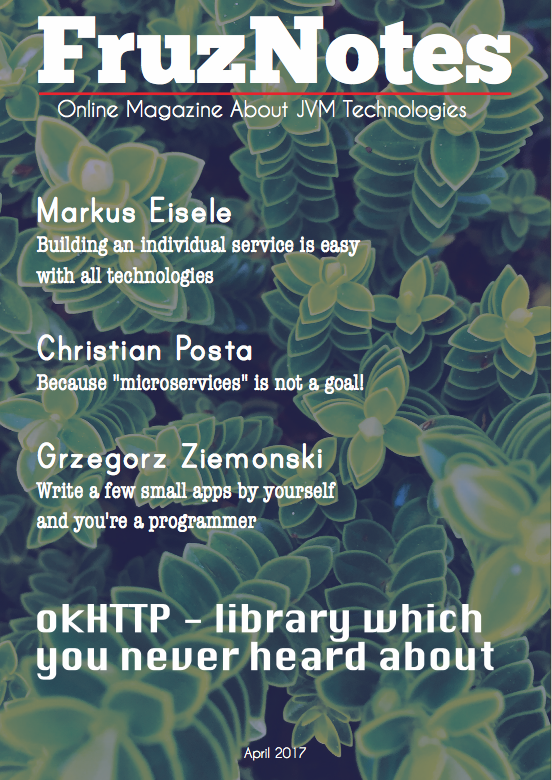 Is it me, or are technical blog titles becoming self-help tenets? I feel like I'm readying the TOC of Esquire magazine. That’s what happens when SEO goes ahead of a content. Daniel Westheide demonstrates a next level of developer’s seniority. Cool story, Bro. But I heard a story about one developer who implemented changes and deployed them, before the meeting was started. So we still have to learn and improve a lot of things. Actually something like this I remember from the “Game Theory” course on Coursera. If Java is the answer, I disagree with the question. What programming language runs on more than 3 billion devices? OH: "I don't get it. The garbage collector ran, but Java is still there…"
I don’t know how to comment this tweet? Any ideas? I just cannot take seriously any modern Java project that chooses Maven over Gradle… And then too with tabs over spaces! Just awful. Nice joke, Li. It hink, it could happen when in hell would snows.